(CNN) — Ever been in an airplane that’s landed sideways? Probably not given that it’s a very tricky maneuver to pull off. That didn’t stop a TUI Boeing 757-200 make an incredible dramatic landing at Bristol Airport, in the UK, last week. Storm Callum brought challenging high winds and stormy weather to parts of Britain last week — so the aircraft’s skilled pilot, Captain Brenda Riepsaame Wassink, had to go to extreme lengths to ensure safe landing. The pilot used a technique called crabbing to ground the plane, angling the nose of the plane into the wind until right before it touched down on the tarmac, whereupon it swiftly turned to glide down the runway. During the maneuver, the airplane’s wings can be seen flexing up and down as they’re buffeted by the storm’s powerful gusts. Wassink, 35, joined TUI in 2005, becoming a captain in 2017. She was piloting flight TOM6561 from Menorca, Spain to Bristol when she completed her landing. 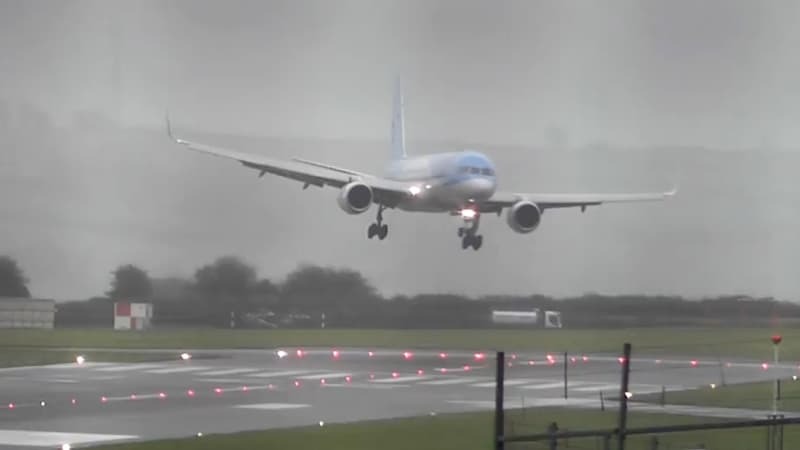 The TUI flight’s audacious landing will no doubt help Bristol Airport maintain the impressive statistics for punctuality which in 2015 saw it as one of the world’s best for time keeping.